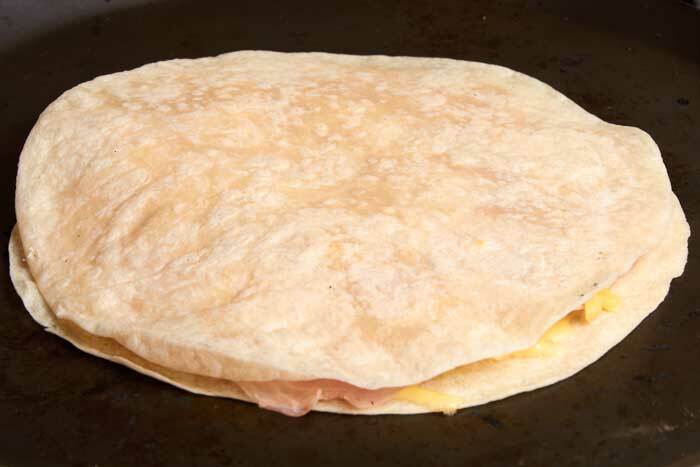 Quesadillas are a staple in every Mexican home and fonda, the small mom-and-pop restaurants found throughout the country. 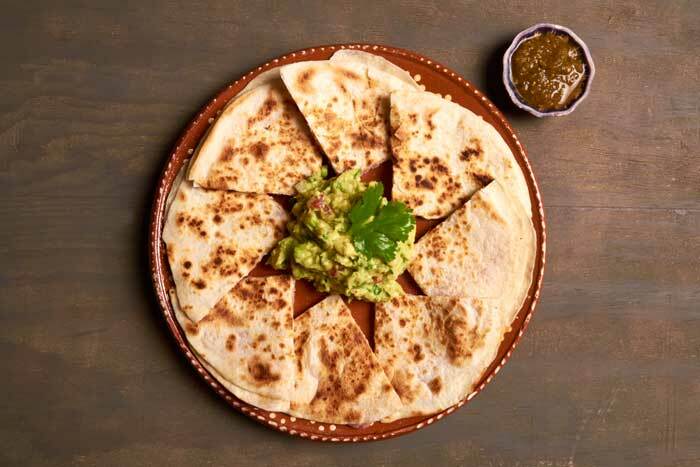 You might be surprised to find that quesadillas in Mexico aren’t the cheese filled extravaganzas we are used to in the U.S. A typical quesadilla is made with a corn tortilla and small amount of cheese served with a good salsa and some guacamole on the side. 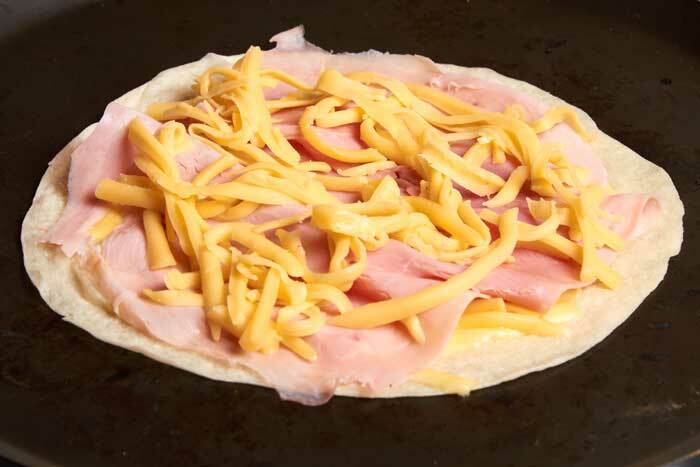 Sincronizadas are ham and cheese quesadillas. The name translates as “synchronized.” Most often sincronizadas are prepared with flour tortillas but corn tortillas are on option. The tortillas aren’t folded with cheese in the middle. 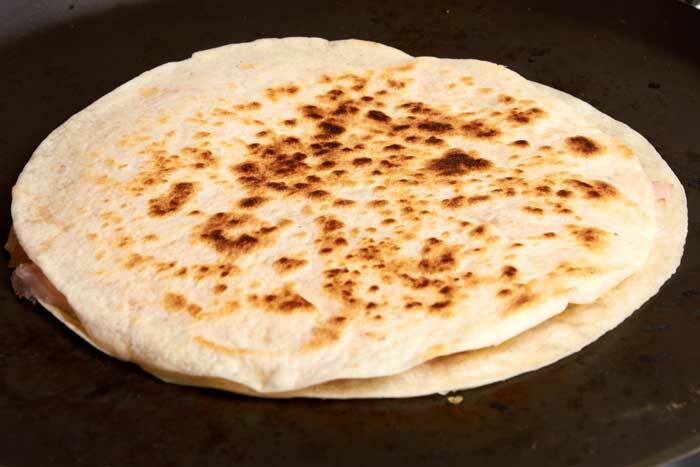 The tortillas are stacked with the filling in the middle and then cut into half moons or triangles. Sincronizadas, ham and cheese quesadillas. If you want a good quesadilla or sincronizada you have to use a good quality cheese. 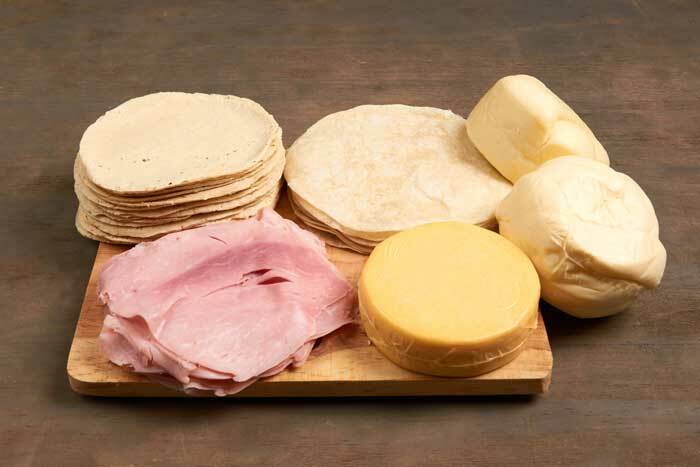 Oaxaca cheese, asadero cheese, manchego cheese and Chihuahua cheese are all good options. In a pinch you can use mozzarella. Quesadillas are never made with cheddar. Ingredients to make quesadillas and sincronizadas. 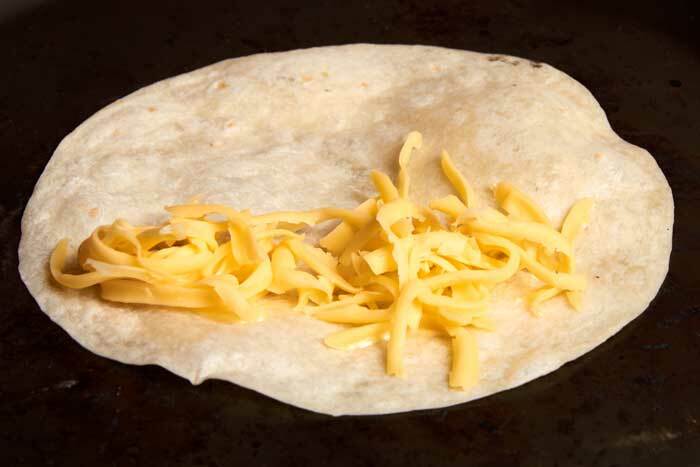 Each Mexican cheese gives your quesadillas a distinct flavor. Try a number of different cheeses until you find your favorite. My favorite is asadero. You always want to make quesadillas on the griddle never in a microwave. Microwaving them makes the tortilla soggy. You want them to be golden brown with the cheese evenly melted. Don’t overdo it with the cheese. The flavors of the cheese and tortilla should be nicely balanced. Quesadillas prepared with flour tortillas are more popular in Northern Mexico in the states of Sonora, Chihuahua, Nuevo Leon and Taumalipas. 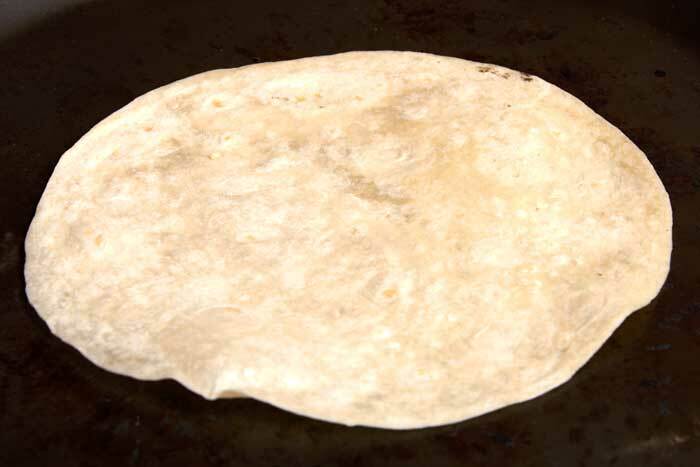 Start by heating your tortilla until it is pliable. Add a small amount of grated cheese, about 1/2 ounce. 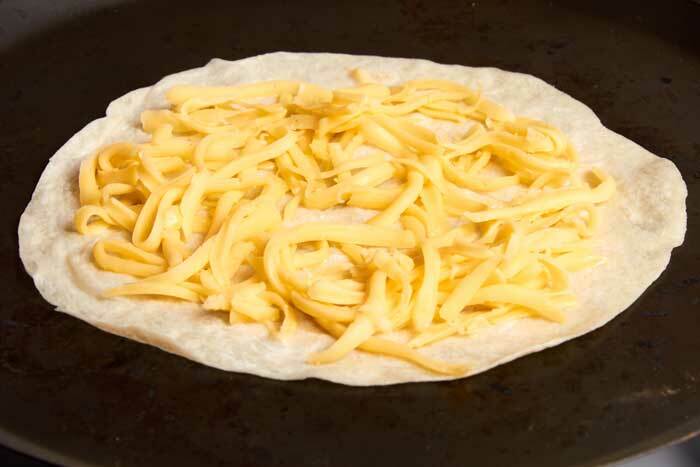 Fold the tortilla over the cheese. 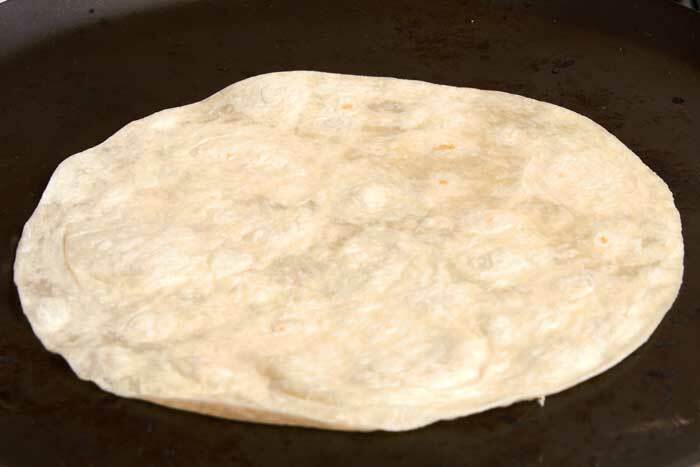 Cook until the tortilla is golden brown on both sides. 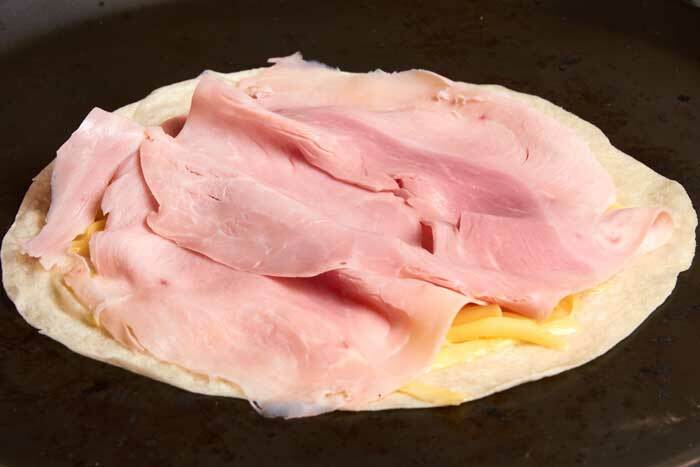 You will enjoy this ham and cheese variation on a quesadilla. It makes a heartier meal. 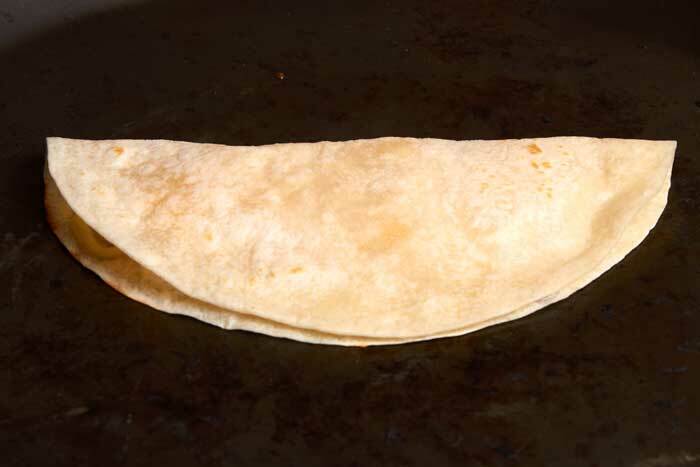 Start by warming your tortilla until pliable. Top with grated cheese, about 1 ounce. Add a few slices of ham. Add a little more cheese, about 1 ounce. Cook until the tortilla is golden brown. It’s ready to serve. 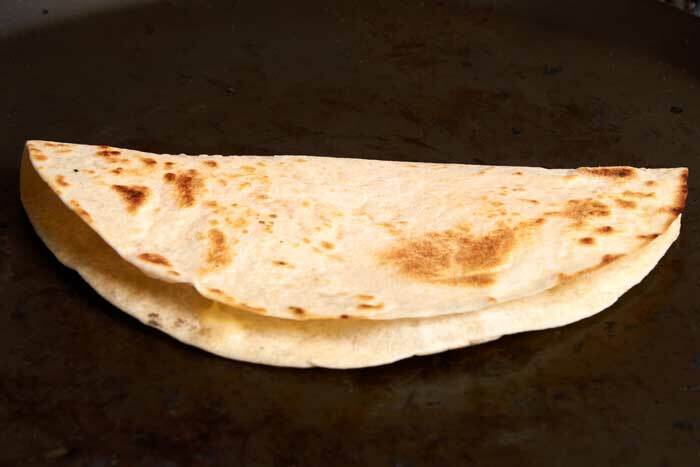 Did you know that quesadillas are delicious when you prepare them on the grill? 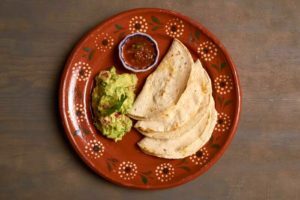 How to make authentic Mexican quesadillas. Warm each tortilla until pliable. Add 1/2 ounce of cheese to each tortilla. Serve with salsa and guacamole on the side. You can also prepare with flour tortillas. In Guanajuato, they serve quesadillas with slices of lime.